If you've read our page five issues in the past, you know that we are as passionate about beauty as we are about fashion. While we often talk about skincare or make-up, this time we thought it'll be good to discuss the issue of hair maintenance. Here's the thing: We know all too well that a bad hair day (or week) can be just as bad as when you get some unwanted “invasion" on your skin. And let’s not talk about when both happen at the same time. Those are the days we wish we could hide behind our screen all day and, of course, those are often the days where we also have back-to-back meetings. I mean, life would not be as fun otherwise, no? So after exchanging tips in the office about products we love, here are my conclusions of the 5 that we believe are worth the investment. Ok, I may no be a hair specialist, but as far back as I can remember, I have had to learn how to tame my crazy curly hair. If you have curly hair, you know what I mean. You see, girls with curly hair have about twice or three times more hair products in their bathroom. They try every tool, every mask that promises to, among other things, get rid of frizz, get nice and define curls and shinny hair. You name it, we've tried it. Don't get me wrong, curly hair is gorgeous but they are a lot of work. Unfortunately, we don’t wake up with nice curls - we have to make these beautiful curls happen. Years ago, when I had my daughter, I jumped on the bandwagon of Keratine treatment. As much as I do miss my curly hair, I don’t miss the 45 minutes of detangling them under the shower. Having changed the texture of my hair with keratine means less products, and also more focused ones for me. Let’s start with the Shampoo. The base of good hair is good shampoo, so start investing in a good product that works for you. But also, pay close attention to the ingredients list. 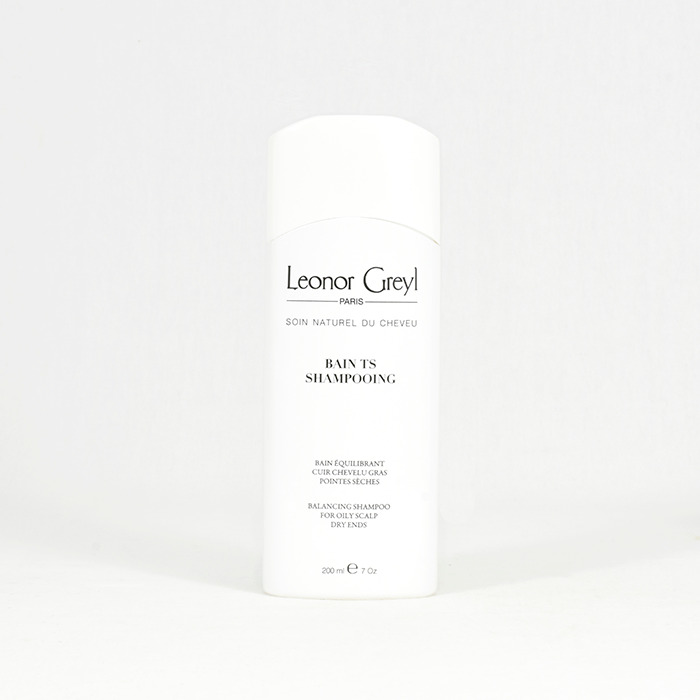 One of our favourites is the one from Leonor Greyl. She is not only a pioneer in natural remedy for hair but, most importantly, is a hair-only specialist. Our pick from her selection is the Bain TS. What it does? A natural shampoo that helps with greasy scalps and dry ends. Why we love it? A shampoo that tackles two common problems: greasy roots and dry ends. It's natural, so it doesn't strip your hair off the good. Don't expect it to lather much but it will do the work. Knowing that we cut down on buying two kinds of shampoo is, of course, a plus. Just like your skin you need to take care of your scalp something that very few of us do, when we discovered the Christophe Robin Cleansing Purifying Sea Salt Scrub we were of course intrigued but when we tried it we were simply sold. Christophe Robin who is a hair stylist to the star and known for his colouring has developed a range of amazing products to take care of our mane. What is does? Wash you hair while giving your scalp a gentle scrub. Just like a body scrub this one's made with large sea salts that will get rid of the deadskin to invigorate hair growth. Why we love it? At first, it feels a bit strange and you actually think that the sea salt will get stuck in your hair. Don’t worry, it won’t. Instead, it will give you a good scrub and you will feel like you have squeaky clean scalp and that your blow out will last longer as you are starting from a less oily base. We recommend to do this once a week to get everything back to neutral. Now, you've washed your hair and you want to make sure that they are well-conditioned for the rest of the journey… i.e hair dryers and irons. With all the different types of conditioner out there, it’s hard to know which one to pick. We picked a heavy duty one for the simple reason that by calibrating your use of it, you can get the best out of it without having to spend on so many conditioners. 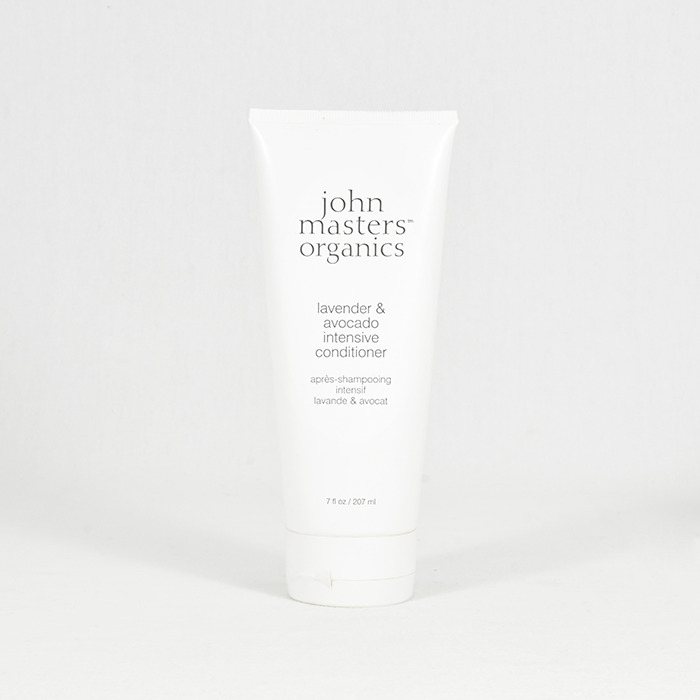 The John Masters Organics Lavender & Avocado Intensive Conditioner is just the one. What it does? Made for dry, damaged, colour treated and permed treated hair, it’s a deep conditioner made of 12 different essential oils and totally natural. Why we love it? It smells amazing. Ok, so that’s not enough to judge a conditioner but, well, if our shower can turn into a relaxation time.. Why not? It really conditions well any type of hair and in order to make sure it suits you, apply it the same way that you will do for your moisturiser. So, more if you feel the need to and less when you don't. I personally use it as a hair mask for 20 minutes when I need a little boost. But I also use it on my daughter's fine hair (which needs nourishing because of all the chlorine at the pool). As a rule of thumb, I always put more conditioner on my ends then roots and I adjust the dosage according to what my hair seems to need on that day. So, you've washed and conditioned your hair. Now, you need to prepare it to dry properly - no frizzes. At the same time, you also want it to look shiny (read: healthy). You have the choice between using an army of products which ends up over-greasing your hair or find the ultimate one. 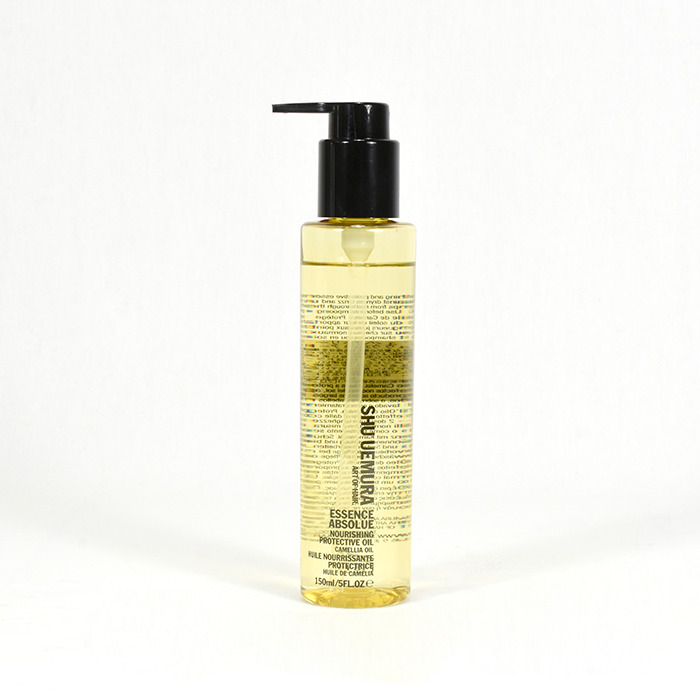 For me, it’s the Shu Uemura Art of Hair Essence Absolue Nourishing Protective Oil. What it does? Moisturises dry, damaged hair and adds shine. Why we love it? It’s a true multi-tasker that you can use on dry hair before shampooing for a nourishing mask, as well as the finishing touch to tame frizzes. You can even sculpt curls as well as add some shine to your hair. It smells divine and doesn’t grease your hair. You don’t need much of it so a bottle will last a long time. Made from Camellia Oil, this is a keeper. For the days when you have overslept and need to wash your hair that morning, there is a great solution and it’s called dry shampoo. One of the best ones, and not necessarily the most expensive, is the Klorane Dry Shampoo. Why we love it? Well, it’s a total saviour on days we don't have the time to wash our hair and can’t hide in bed all day. It takes 5 minutes to get everything back to order. You have to spray the roots wait 2 minutes and brush vigorously to get rid of the white powder. In 5 minutes, you will get some volume back and, thanks to the starch, you have just texturised your hair. This means that your hairdo and hair style will hold. This is also a great product to keep in the office as well as your traveling beauty kit - just make sure you pack a mini brush along with it. 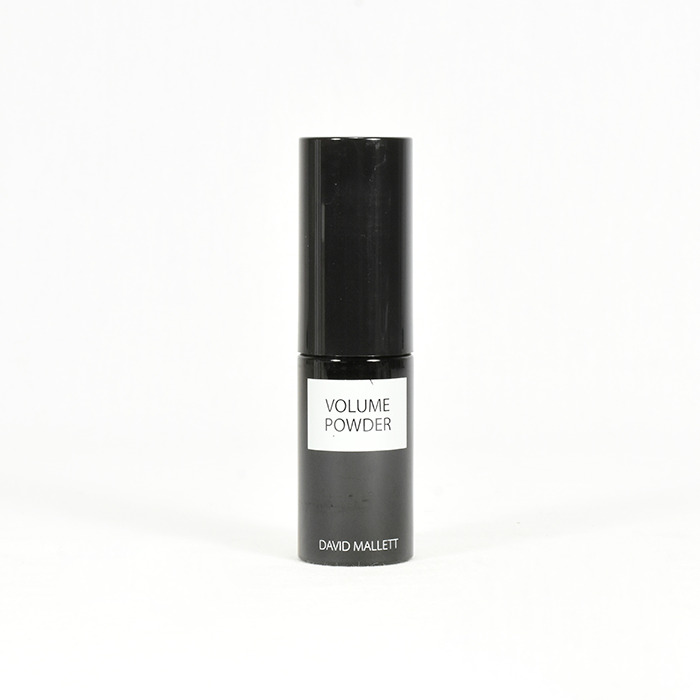 Finally, for the days when you need some volume a la Brigitte Bardot, this newly found (for us) Volume Powder by David Mallet is the best thing ever. Why we love it? It’s so easy to use and it does not leave any residue. So, no intense brushing needed here. If you're wondering how to get that little oomph to your hair just as the Parisians do, this is definitely the product. Spray it on your roots and then shape your hair the way you want them to keep the shape. Great for super fine hair that don’t seem to hold on anything. Hello, manageable volume, no more back combing! We are still looking for the perfect heat protectant as well as good holding gel with no alcohol. So, let us know if you swear by one by leaving us a comment below.